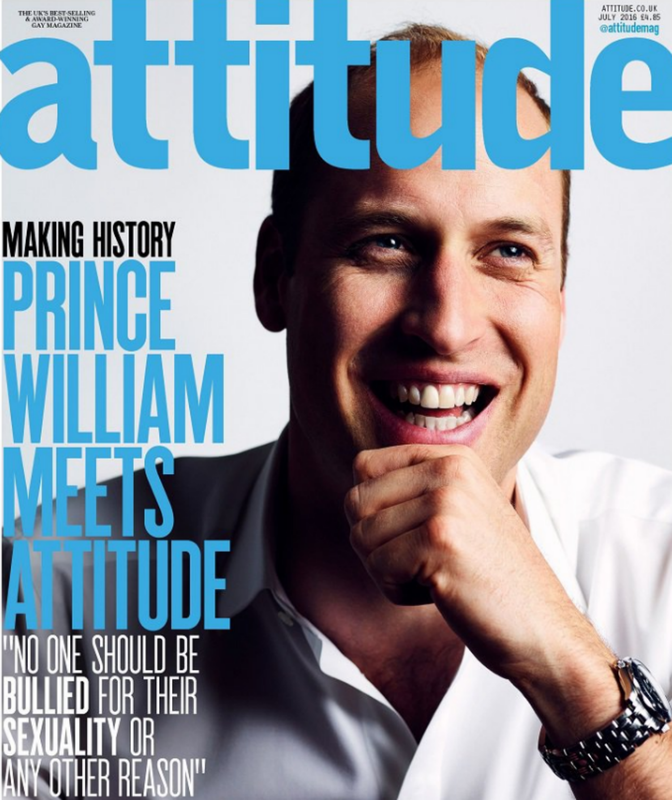 Prince William makes history by appearing on cover of Attitude magazine. Prince William whose mother Diana was prominent HIV campaigner posed for the cover after inviting the magazine to bring members of the LGBT community to Kensington Palace to hear their experiences of homophobic, bi-phobic and transphobic bullying, as well as the mental health implications it can have. “Their sense of strength and optimism should give us all encouragement to stand up to bullying wherever we see it,” the Prince who signed a book of condolence for the Orlando shooting victims with with his wife earlier this week added. “What I would say to any young person reading this who’s being bullied for their sexuality: don’t put up with it – speak to a trusted adult, a friend, a teacher, Childline, Diana Award or some other service and get the help you need. Attitude’s editor Matthew Todd added: “During my time as editor of Attitude I have met parents whose child has taken or lost their life after being bullied for being LGBT or just perceived to be LGBT.